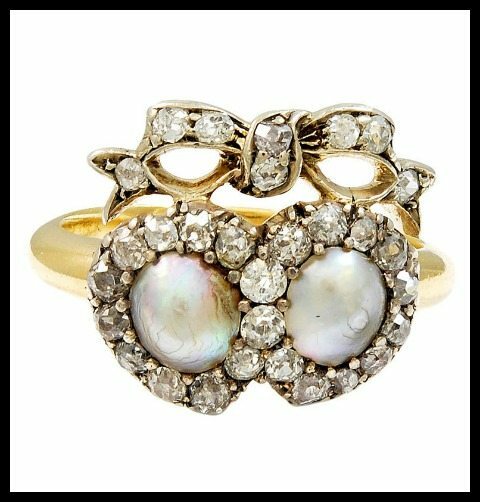 Today we’re going to be talking about a subject very near and dear to my heart: antique engagement rings. I promise you many pretty pictures. 1. The fact that they’re one in a million. One of my favorite things about my own antique engagement ring is the knowledge that nobody else in the world has a ring exactly like mine. It was hand engraved 100 years ago, and it’s entirely unique. The ring above is Art Deco diamonds in platinum, like mine is, and it was even made in the same year as mine (1930) but it’s completely its own entity. 2. The thrill of the hunt. 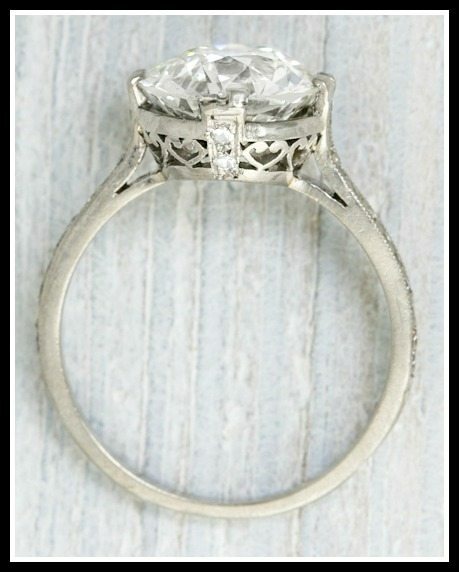 Each antique engagement ring you look at brings you closer to The One. Will this one be it? Or perhaps the next? It’s waiting for you. One of my very favorite things about antique engagement rings is how thoroughly adorned they are. Each way you turn an antique ring, you find a new detail. Take this one: the luscious Old Mine center diamond is held in a platinum trellis of millegrain openwork details sprinkled with smaller diamonds, a pattern which gives way to a geometrically engraved ring shank. Older diamonds aren’t like modern diamonds. Their broader, less precise cuts are designed to come to life in candlelight, flickering softly with iridescence rather than sparkling as brightly as possible with clinically exact faceting. Old diamonds are less perfect, softer; they come to life in romantic corners and the gentler rays of twilight. 5. The sense of history. Some of these timeless beauties have already been around for 100 years. Maybe they’ve gone from finger to finger, visiting parties and symbolizing birthdays and engagements, or maybe they’ve been waiting quietly for you in a box – you may never even know. Either way, what an honor it is to be a link in the chain of one of these beautiful pieces’ histories. Antique engagement rings are heirlooms looking to find families. A treasure like this has been passed down to you from history – if you make an antique engagement ring your own, it can become part of your family’s future. 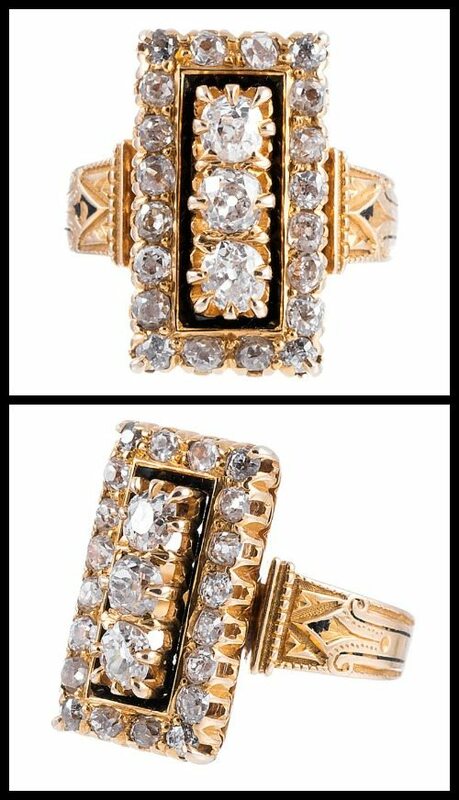 Antique rings have charisma. They have the tiny, often almost imperceptible imperfections that come from being made by hand. Their platinum has that rich, satin-ey patina that no method can recreate. They’re infused with the glory of life lived. 9. The fact that they’re ridiculously beautiful. Do you require additional convincing on this point? Please click here for further proof. 10. Because you deserve a ring that is perfect for you. A lot of engagement rings are pretty – that’s their job. The challenge is finding the one that feels like it was made exactly for you; the one that fits your personality when you’re dolled up for a night out or when you’re watching Netflix on your couch in yoga pants. With the incredible variety of antique engagement rings – and their wonderful variety of details and features – there’s sure to be one exactly right ring out there waiting for you somewhere. This post is brought to you by Estate Diamond Jewelry. Ring roundup: random antique beauties. I just fell pretty deep into the 1stdibs.com black hole of browsing. (You understand if you’ve been there.) I thought I’d share some of the pretties I came across. 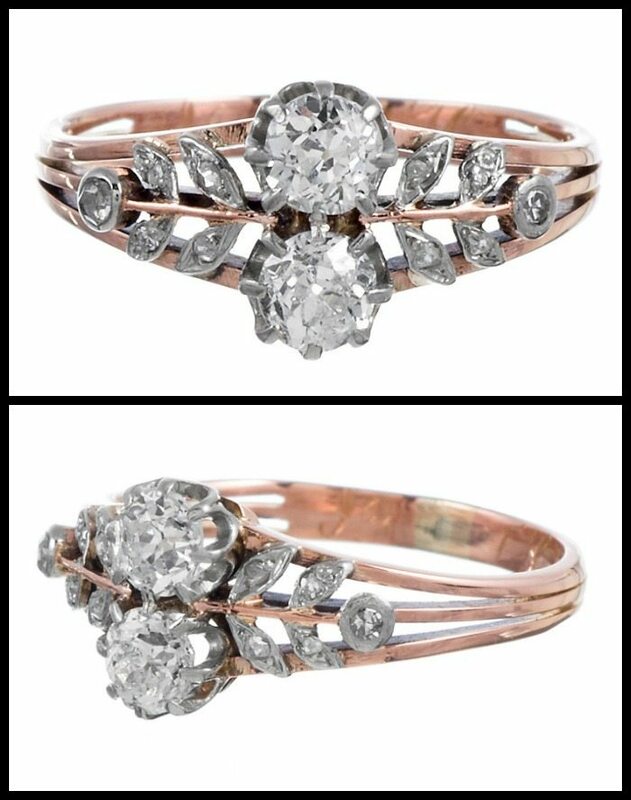 This lovely floral platinum-topped rose gold ring is Victorian and amazing. It’s been sold, which is sad for us but amazing for whoever bought it. 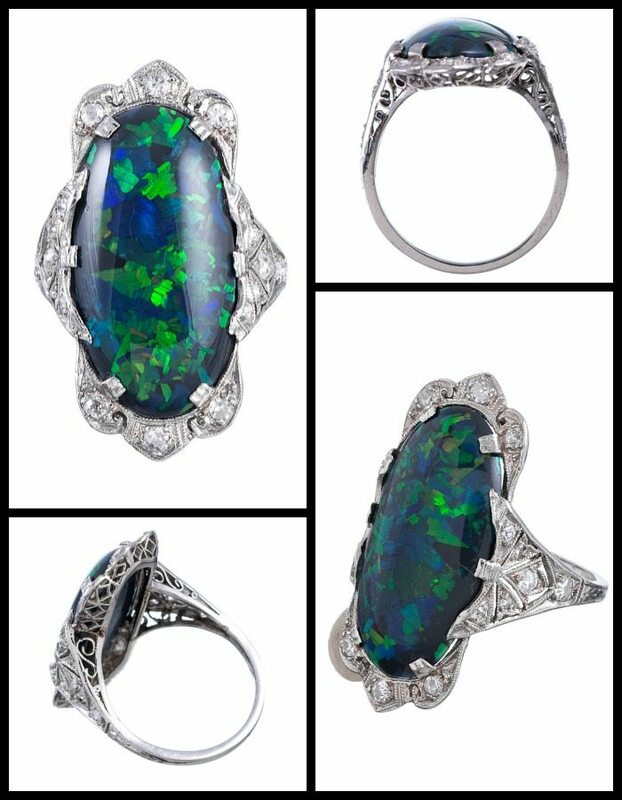 This Art Deco opal plaque ring slays me with its magnificence. The setting is platinum with diamond-studded filigree. 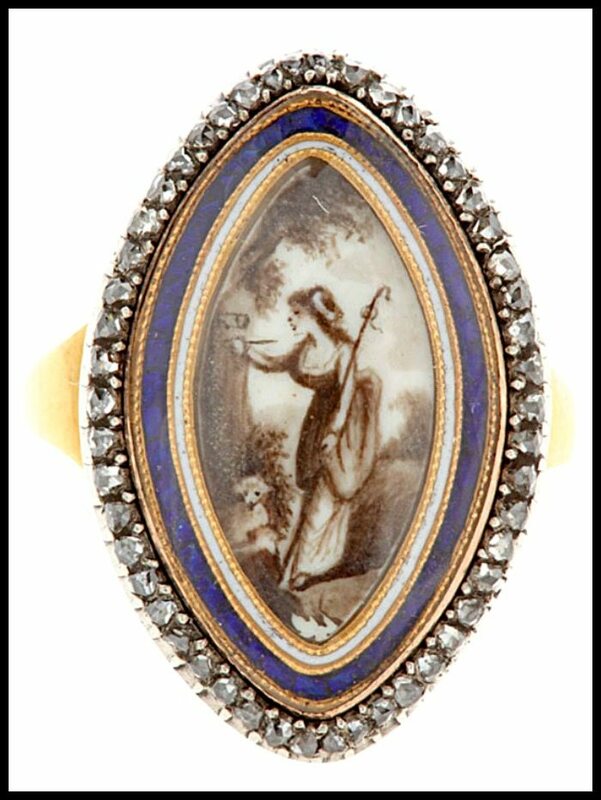 This antique enamel and diamond plaque ring in gold is so striking. I love the detail on the shank. How romantic is this Victorian twin heart ring? The hearts here are set with luminous natural pearls, wreathed in antique cushion cut diamonds and topped with the most perfect white gold bow. This lovely Georgian navette ring shows a shepherdess carving her lover’s initials in a tree. I think it’s fantastic. This one’s been sold but I couldn’t resist showing it to you. It reminds me of my own ring from the top view. Look at the filigree! It’s Art Deco, of course. Aaaand one more. 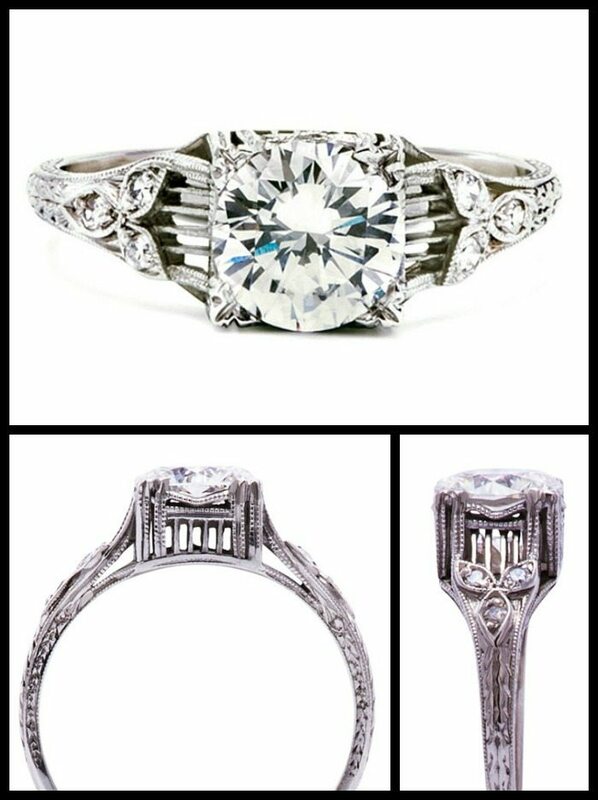 A big, honking Art Deco solitaire; this baby’s just under 4 carats.